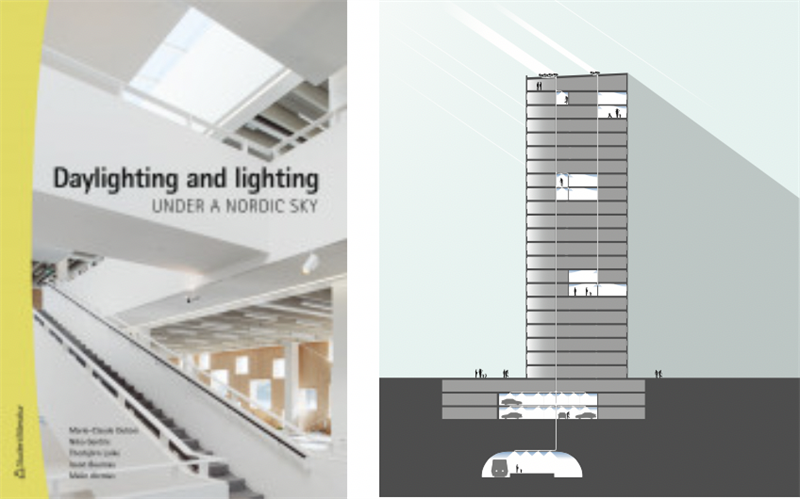 In the recently published book “Daylighting and lighting under a Nordic Sky”, Marie-Claude Dubois, Architect and Associate Professor Lund University, and Malin Alenius, Architect and Lighting Specialist, both working at White Arkitekter, discuss fiber optic lighting and mentiones Parans in the chapter regarding daylighting design strategies. White Arkitekter is this year ranked at 16th place in WA 100* yearly survey regarding the 100 largest architectural practices in the world. The book, written by Marie-Claude Dubois, Malin Alenius, Niko Gentile, Thorbjörn Laike and Iason Bournas, promotes the thinking of striving towards achievieing the most possible use of daylighting in buildings and states: “After nearly a century when electric lighting has dominated the design of building interiors, a return to the use of daylight as the main ambient light source is motivated by energy, environmental, and health considerations. Good daylighting of building interiors not only promotes low energy use, it has the potential to (re)connect humans to the natural cycle of day and night, promotes health and well-being.” The Parans system is mentioned as one of the systems regarding top-lighting in the chapter “daylighting design strategies”. The book addresses students within architectural and lighting design as well as professionals worldwide. - We welcome this kind of literature that lifts the advantages with the use of natural light and states the different systems able to lead the light, says Anders Koritz, CEO at Parans. We are especially glad that light via fiber optic is addressed and that we are mentioned by name. This contributes of course to the knowledge increase about our technology within two of our important target groups.- architects and light designers.